Most people are familiar with the basic video conferencing features -- such as screen sharing and meeting recording -- which can foster employee collaboration and productivity. But some other features are available that offer greater opportunities for collaboration and give hosts better tools for managing video meetings. Some users may not realize that these other features are available in their video conferencing tools and how their meetings could benefit from using them. These video conferencing features include real-time collaboration tools, like annotations and whiteboards, and other tools that simplify meeting management. Users may find that video conferencing vendors take different approaches to certain features. These approaches are shaped by how the vendors view the collaboration needs of their users and how they address those needs. 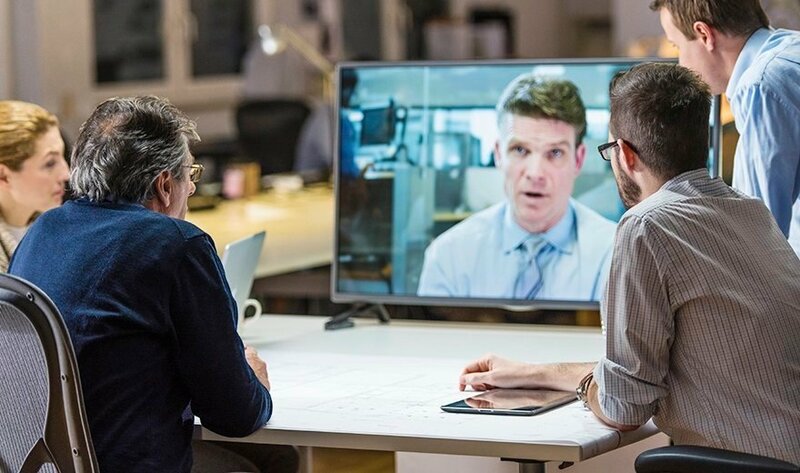 In this photo story, learn about some of the lesser-known video conferencing features that are available in popular conferencing services, and how video conferencing vendors approach these features to enhance collaboration and improve video meeting productivity. What "hidden" features in your video conferencing service have you discovered and used? One feature that I’ve found useful for asking questions in a meeting without disturbing the flow of the meeting is the ability to add IM for those inevitable “offline” discussions between two people that often drag a meeting to a halt. For example, our change control board meeting is available via an online meeting. IM communications allow the service desk manager to communicate with the project manager about the particulars of an outage notification for a particular change without taking up the time of the other team members, allowing the meeting to progress efficiently. Yeah, to some extend I agree, that side video meeting helps discussing some points relevant to the meeting, but likely will drag them both from the main stream of the meeting specially if that becomes noticeable. I've set up chat rooms and prepared IM for ongoing comments. When the comments are pertinent enough, I bring them into the full meeting. If someone has a good question, odds are good someone else will too. While I'm happy multitasking, triple-tasking can be extreme, so if it's my session, I try to work with an assistant. I talk while s/he runs the background and brings it into the foreground when necessary. To keep things focused, I bring in remotes, too. An expert commenting on a key point can carry a lot of weight. And it makes the entire presentation feel more like a conversation then a lecture. Desktop sharing should be there Its not hidden but not used in a collaborative way.